To describe Auburn’s 2018 season as a roller-coaster ride would be an understatement. It’s dizzying just recalling it all. Beating ranked teams, then losing to unranked teams, then finishing in record-setting fashion at the bowl game, it was quite the amusement park journey. As low as things got, and they got pretty darn low at times, the Tigers never stopped fighting. They always bounced back. They never quit. After a heartbreaking walk-off field goal loss to LSU, Auburn rebounded by thrashing Arkansas (34-3) and beating Southern Miss (24-13). After crushing back-to-back losses to unranked Mississippi State (23-9) and Tennessee (30-24), the Tigers gathered themselves for consecutive impressive victories over Ole Miss (31-16) and Texas A&M (28-24), making a monumental comeback against the Aggies, erasing a 10-point deficit in the last part of the fourth quarter. This team lost football games, but it never lost its will to win. 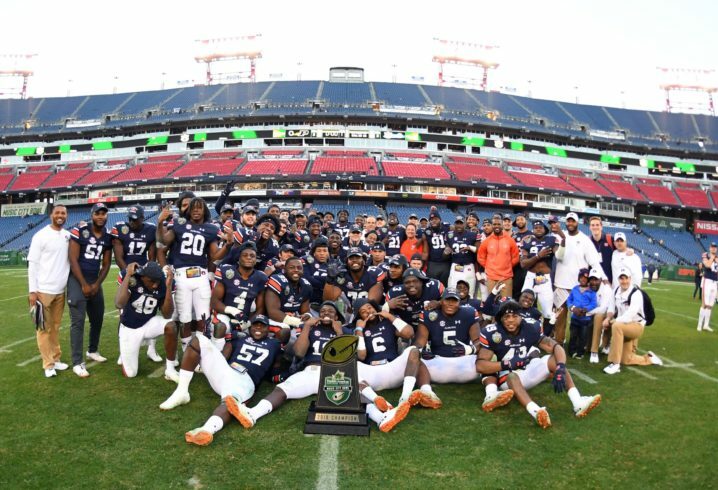 What a way to end the season, Auburn scored at will on its way to a 63-14 Music City bowl victory over Purdue. The Tigers scored on their first seven possessions and added a defensive score for good measure. The 56 first-half points is a program record, and the 63 points is an SEC bowl record. Quarterback Jarrett Stidham tied the program record with a personal career-best 5 touchdown passes. It was one of the most dominating halves of football ever played. The combination of Stidham and Davis surpassed all others in Auburn football history with 154 completions. 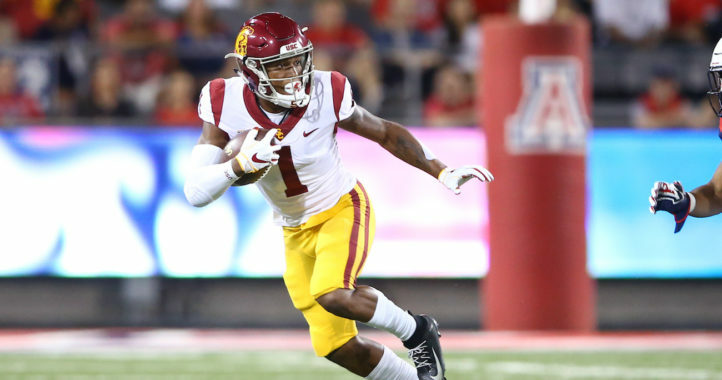 Davis finished his career as the program’s most prolific receiver with 178 career receptions, catching passes in 27 consecutive games, the fourth-longest streak in program history. With Davis as his go-to receiver, Stidham was able to throw for 5,891 yards at Auburn and finishes his career fourth in program history in completions (470) and sixth in passing yardage. No, he didn’t continue the string of 1,000-yard rushers, but the freshman was sensational nonetheless in his first season as the Tigers’ featured back. He finished fourth in program history in rushing yards for a freshman (787). For comparison, Bo Jackson rushed for 829, not bad company. Whitlow ran for 6 touchdowns, including 2 in the bowl game. Also in the bowl win, he added a 66-yard TD reception, the third-longest play of the season for the Tigers and longest touchdown catch by a running back in 9 years. It was a very solid first season and a reassurance that the running game is in good hands for years to come. 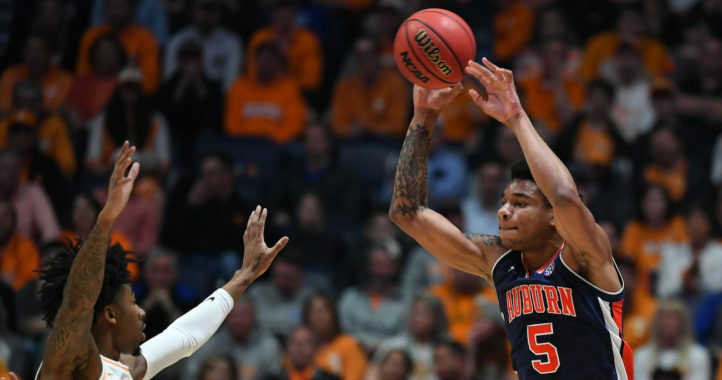 It was the kind of defensive display that Auburn fans had grown accustomed to. Auburn held off No. 6 Washington, 21-16, in the Chick-fil-A Kickoff Game in Mercedes-Benz Stadium. A timely sack by Big Kat Bryant helped preserve the victory and punctuate a big-play defense that turned back a Huskies team that went on to play in the Rose Bowl. It was Nick Coe who forced a third-quarter fumble and Darrell Wiliams recovered it to complete a goal-line stand. And Deshaun Davis also chipped in with a key tackle for loss to keep Washington out of the end zone. The UGA game was my personal favorite. The SECCG and Sugar bowl were pretty fun to watch also..